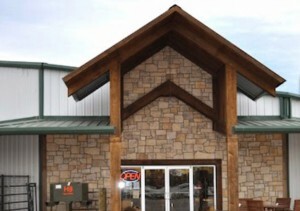 Immediate changes for the Russell Feed & Supply’s Decatur location include expanded hours and open doors 7 days a week, a larger selection of feed and hay, availability of bulk and packaged seed, and a wider offering of farm and ranch supplies to name a few. Founded in 1997, Fort Worth-owned and operated Russell Feed & Supply has grown into one of the largest independent feed dealers in the state of Texas. Russell Feed Inc. currently now has eight locations throughout North Texas. The Decatur location officially began operations as Russell Feed & Supply, effective February 1, 2016. Customer service is at the heart of everything we do at Russell Feed, and we look forward to serving the communities of Wise County! This entry was posted on Thursday, January 21st, 2016 at 4:06 pm	and is filed under News & Updates. You can follow any responses to this entry through the RSS 2.0 feed. Both comments and pings are currently closed.